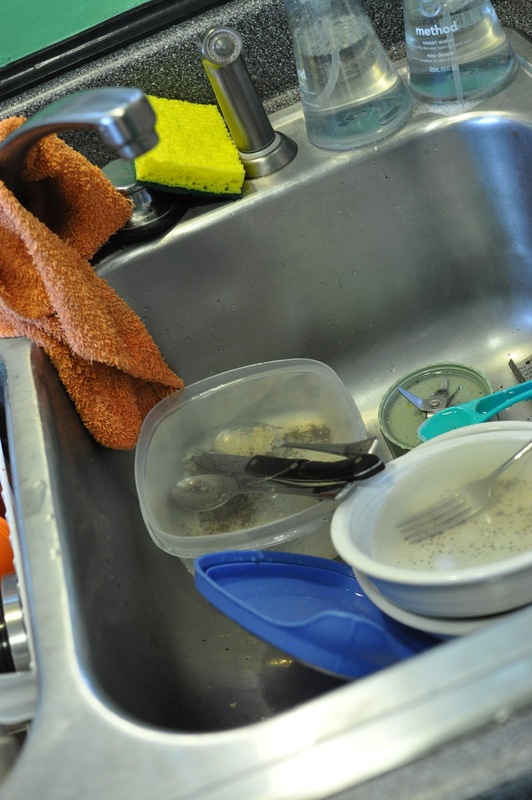 FYI, anything you see on this blog is not staged. I have neither time nor energy to stage and make my food look prettier than it already is. I am lucky enough to get nice lighting on the photos of my artwork, much less get any photos at all of the things I cook. Often, my cell phone is the only thing handy, or is the fastest I have in the race against the nap clock. So why keep this blog? Well, the 4H project queen in me still yearns to make delicious food and create beautiful things has the desire to share what I make. So, I carve out the time whenever possible and I post it here, so that when I throw out my scribbled notes or lose that cherished recipe I can find it on Mommy’s Medley. I also post to show that all moms can be heroes, regardless of your kitchen sink status, broken fingers, or lack of beautiful lighting for photos. 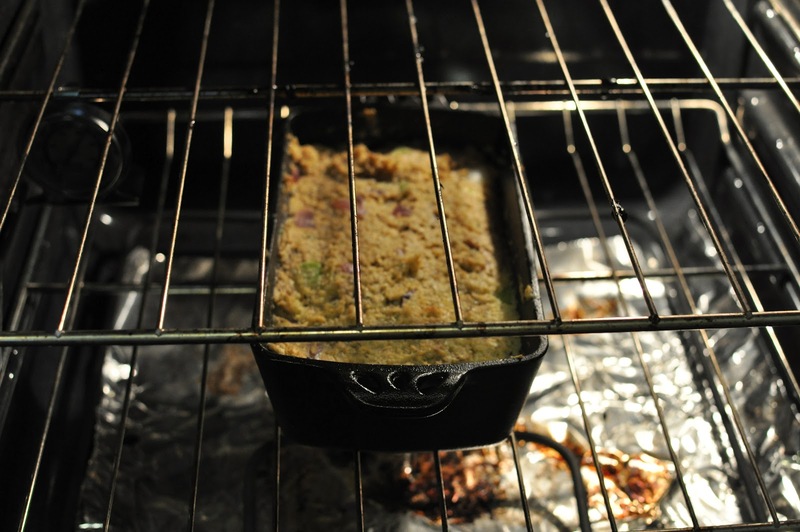 Last night, I created a simple and tasty salmon loaf with something for everyone in the family. Spice and garlic for Eric and Greta and quinoa, tahini, and falafel for me. 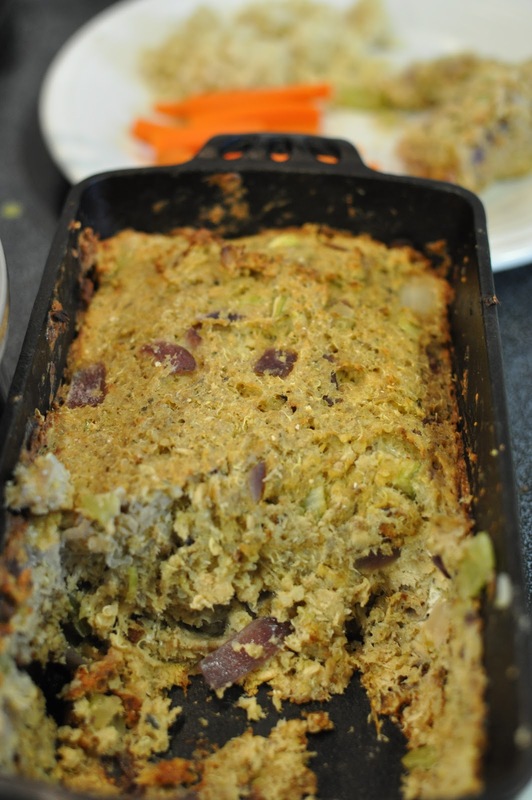 Eric is not a fan of quinoa on its own, but hiding it inside salmon loaf did the trick. Press mixture into greased loaf pan. I used a cast iron one which cooks very thoroughly. Bake at 425 degrees for 30 minutes or til top is golden (I know, super high tech). 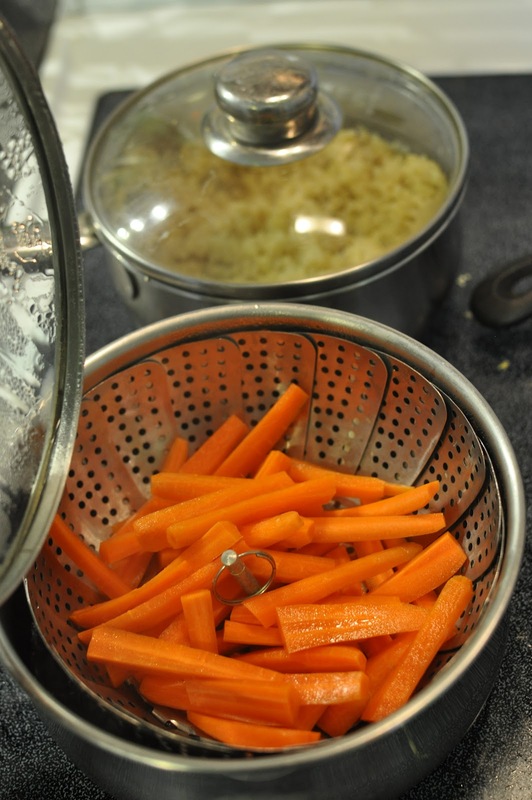 Steamed carrots were a nice pairing with the simple loaf. This meal is the Mommy Medley’s version of meat and potatoes. Also, you could substitute the salmon for other protein sources very easily.